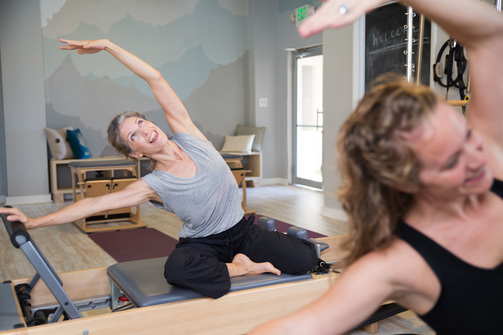 At Body Connection, we believe practicing Pilates can connect you to vitality, increased energy, and renewed vigor in your life. We teach movement. We restore body and mind, and want to help you to learn and understand how your body optimally moves. Body Connection instructors have a variety of passions, interests, experiences, and certifications. We are confident that you will connect with one that can help you on your journey to looking and feeling your best. To that end, we encourage proper nutrition and a positive outlook. And we practice and encourage deep breaths, open hearts, and receptive minds. Our goal is for you to connect positively to your body. Working together with you in the studio, we send you off with the tools to care for your body outside the studio. We help you recognize proper posture and body alignment so that you feel good at all times—whether you’re sitting at your desk, watching your child’s soccer game, or standing in line at the grocery store.